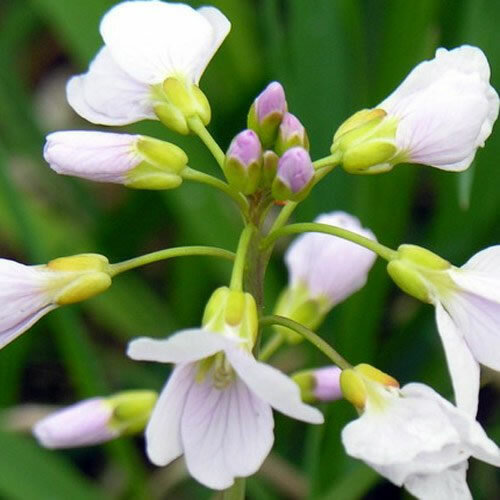 Cuckoo Flower, Lady's Smock. British native of our own meadows, forming rosettes of pinnate, grey-green leaves. Loose clusters of purple, lilac, or white flowers. Max Height: 40cm. Max Spread: 30cm. Flowers March to May. Full sun/partial shade. Hardy. Water thoroughly before planting.